Special edition Ranger to be sold in the U.K.
Alongside the all-new spiffy Ford Fiesta Van and several other utility-based vehicles, the Blue Oval manufacturer also showcased the Ford Ranger Wildtrak X at the Commercial Vehicle Show held in Birmingham, England. 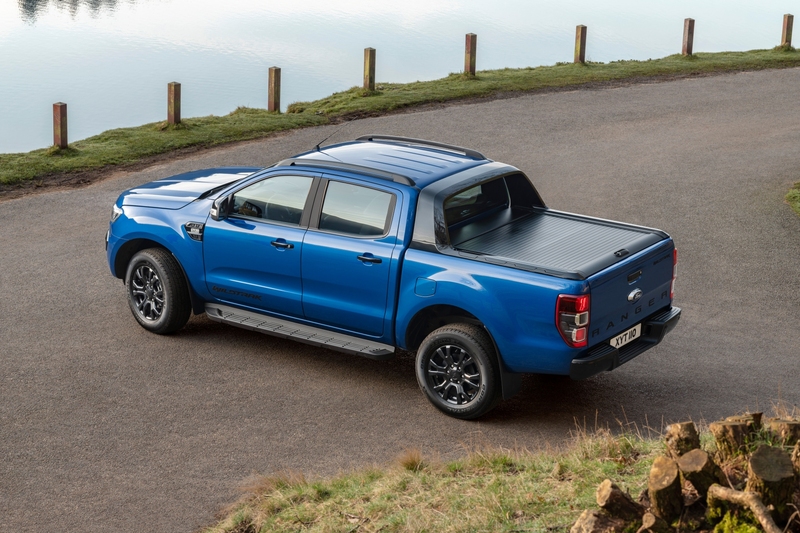 The Wildtrak X is a new special edition of the Ford Ranger, which is the highest-selling pickup truck in Europe. It comes into the market following the sales success of the exclusive Black Edition model. Setting it apart from the garden-variety Ranger is the Performance Blue metallic paint, available for the first time on the flagship Wildtrak, accompanied by an unique black finish to details such as the radiator grille, sport bar, roof rails, side steps, alloy wheels and Wildtrak decals, as well as to the standard roll and lock load-bed cover. This sort of darker detailing has also been seen on the Isuzu D-Max Arctic Trucks AT35 Stealth, also displayed at the show. 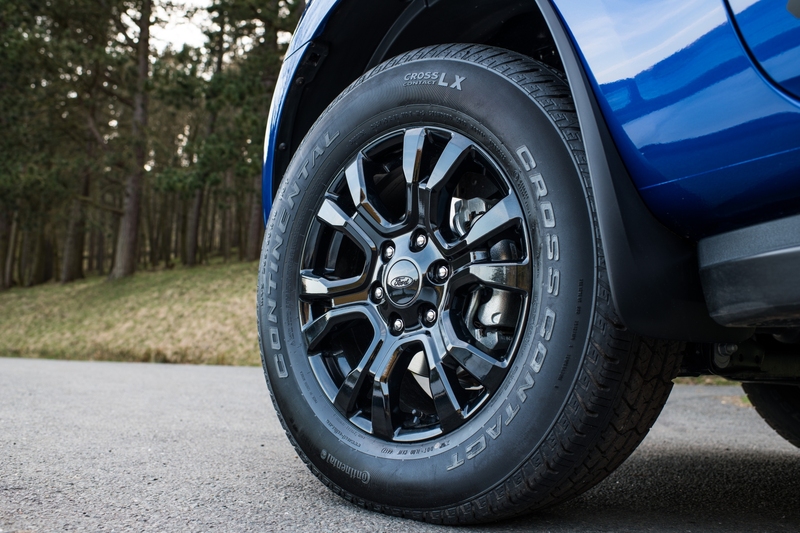 The Wildtrak X rides on six twin-spoke 18-inch wheels that sport 265/60/R18 Continental Cross Contact tires. 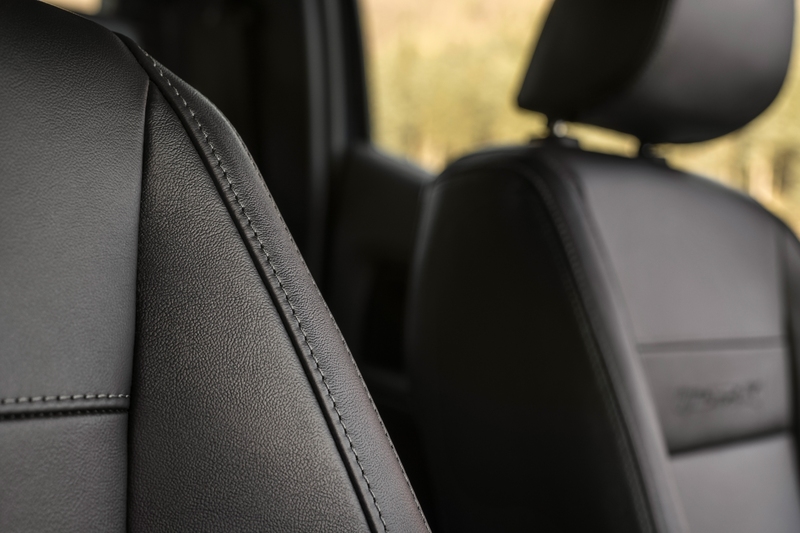 While on the insides, the cabin features full-leather upholstered seats in a shade of black, with chic contrast stitching in River Rock grey and the "Wildtrak X" lettering embroidered on to the seat backs. 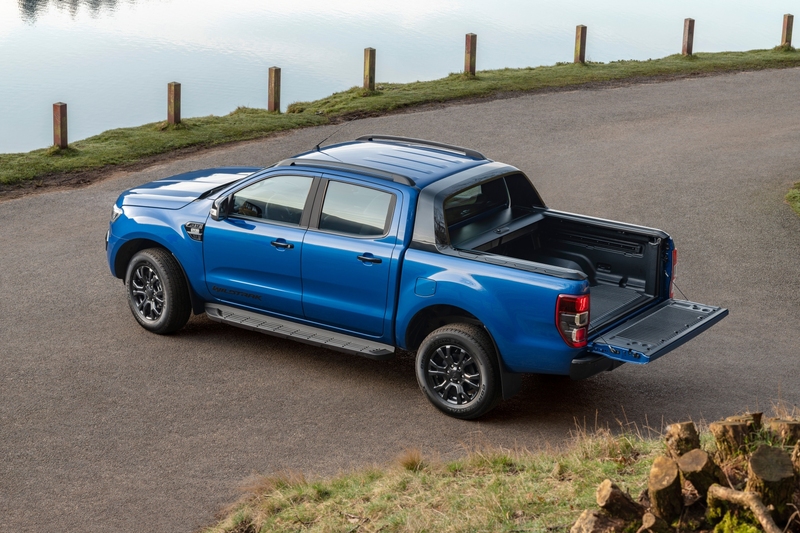 The Ford Ranger Wildtrak X will be offered in Double Cab body style and will be powered by the Ford’s 3.2-liter TDCi diesel engine, mated with six-speed automatic transmission and a 4x4 drive line. Maximum output is rated at 197 hp, while the claimed fuel economy figure is a commendable 27 mpg. Ford has yet to announce whether the Wildtrak X will also be available with their 2.3-liter EcoBoost engine and 10-speed automatic. The Ford Ranger Wildtrak X is available to order currently at Ford dealers in the U.K., for August delivery. Could a New Ford Ranger ST Bring Back the Beloved, Defunct Lightning? If a kid-hauling Ford Edge ST somehow makes sense, then why not a sporty Ranger ST? Iceland’s Arctic Trucks gives the D-Max the 'Paint It Black' effect. Ford Promises New Line of 'More Authentic Off-Road' SUVs As It Ditches Sedans In the U.S. It looks like the rugged new Bronco will have plenty of company.